Dayonix Pharma’s dietary supplements covering a range of health issues for adults and kids alike, are coming to health and wellness e-commerce site Go4ItNutrition.com. Dayonix Pharma products coming to Go4ItNutrition.com include Celofit, Crono, Arthipass, Adovit Prenatal, Adovit Multivitamin, ActiMen, Kidssi Multivitamin 6+, Liverex, Irofix and Dibetria. Dayonix Pharma is a global leader in the healthcare world, which people turn to for dietary guidance. Each product is manufactured in state-of-the-art facilities that meet pharmaceutical production guidelines, and we supply healthy products at an affordable price. 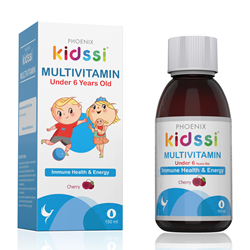 Dayonix Pharma produces healthcare supplements containing plant extracts, vitamins, minerals, amino and fatty acids, formulated for both children and adults to support general health and treat specific ailments. Go4ItNutrition.com will receive 10 products in total to begin with, chosen from Dayonix Pharma’s extensive catalogue. Dayonix Pharma has built an international reputation as a leading manufacturer of healthcare products. It is committed to innovative research and development to provide the optimal blend of ingredients that offer maximum nutrients in the most bioavailable methods, at the most competitive prices while maintaining the highest quality standards. Dayonix Pharma’s products have clear packaging and labeling, and all are gluten free. Dayonix Pharma products coming to Go4ItNutrition.com include Celofit, Crono, Arthipass, Adovit Prenatal, Adovit Multivitamin, ActiMen, Kidssi Multivitamin 6+, Liverex, Irofix and Dibetria. For more information on Dayonix Pharma and its products, visit http://www.dayonixpharma.com, or look for them on http://www.go4itnutrition.com.